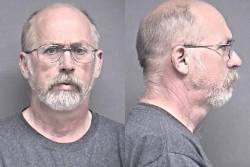 Lewis Grider, the man accused of the hit-and-run death of bicyclist Gail Kline on May 31st near Salina, goes on trial today at the Salina courthouse. Gail was riding in the inaugural Kandango﻿ tour, which was suspended after she was struck and killed by a hit-and-run driver. Grider was arrested the following day. After a thorough investigation, Grider was charged in September with reckless involuntary manslaughter, leaving the scene of an injury or fatal accident, and failing to report an accident. 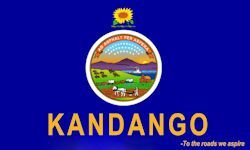 ​Kandango is a bicycle tour on the back roads in Kansas, organized by cyclists who enjoy the camaraderie of fellow cyclists and the adventure of new black top and communities to discover and explore. It is truly unique from other bicycling events. Riders will be delighted with the route selections, which are optimized for minimal traffic and maximum scenery and vistas. The two central objectives of the ride are to engage the local communities we pass through, and to encourage the casual cyclist to come out and experience a ride in the open country, on safe roads and with fellow riders. The Kandango ride offers a unique bicycling experience, utilizing four air-conditioned, 55-passenger motor coaches to provide rider support during the tour. Registration opens today, and is limited to the first 1,000 riders. A preliminary hearing for a Salina man charged in the May death of a bicyclist was rescheduled Friday for 9 a.m. Dec. 20 in Saline County District Court. The preliminary hearing had been set for Friday, but attorney Roger Struble, who represents Lewis D. Grider, 63, said he needed more time to prepare for presentation of evidence to Judge Jared Johnson. Prosecutor Amy Norton, an assistant county attorney, said she could use additional time as well. What Does the ABC Trails Plan Mean For Kansas?